In 1968, Six Flags Over Texas added a brand new venue to their park. The Krofft Puppet Theatre was born and featured shows produced by Sid and Marty Krofft. The two were masters in puppetry. Though an exact timeline is unknown, the show lasted for many seasons. 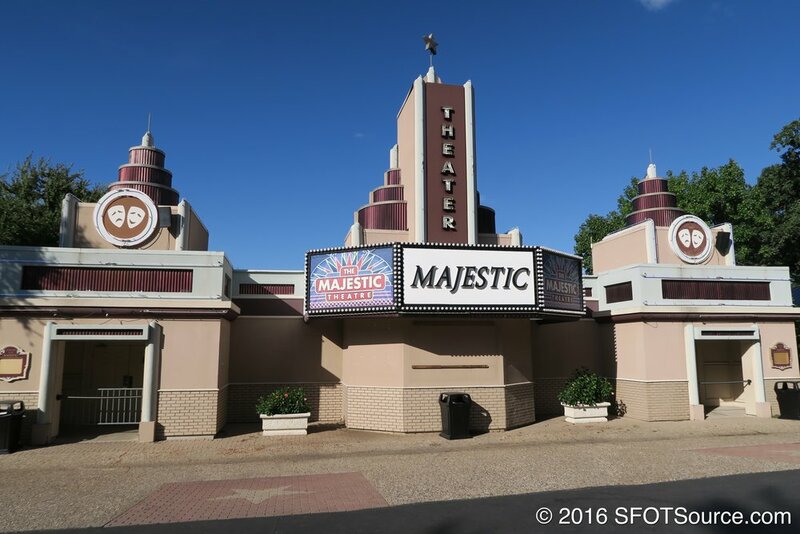 Today, Majestic Theatre looks nothing like the photo shown. However, if you look closely enough, the planters from this original photo still remain in the outline of red brick with star patterns in the center.